but I didn't have time to buy the disposable icing bags, so I settled for a marble cake. 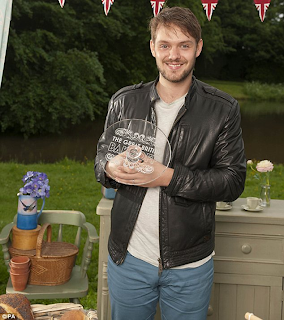 And this week we had the Great British Bake Off Final! And John won!!! I was torn between John and James so I didn't mind if either if them won as they both fully deserved it. I did like Brendan but his bakes didn't appeal to me as much. Who did you want to win? Preheat the oven to 180oC/350oF/Gas Mark 5. Grease and base line 2 8inch sandwhich tins with greaseproof paper. Cream the butter and sugar together, until light and fluffy, with an electric hand mix. Add the vanilla extract and add the eggs one at a time with a tbsp of flour. Beat until each is egg is fully combined. Fold in the rest of the flour and the baking powder. Split the mixture into two bowls and fold in the chocolate powder into one of the mixtures. Put half of the vanilla mixture into one tin, and the rest in the other. Do the same for the chocolate mixture. Use the the handle of a spoon to swirl the two mixtures into each other. Then bake for 20-25 minutes; a skewer should come out clean when inserted and when pressed, the cake should spring back. leave to cool in their tins for 5 minutes, then turn out onto a wire rack and peel off the greaseproof paper off of the bottom. Due to my tiredness, I simply decorated the cake with chocolate buttercream and chocolate chips. It's a lovely cake, I'm sure your Mum loved it. I was pleased John won as he really wanted to make a career of his baking. 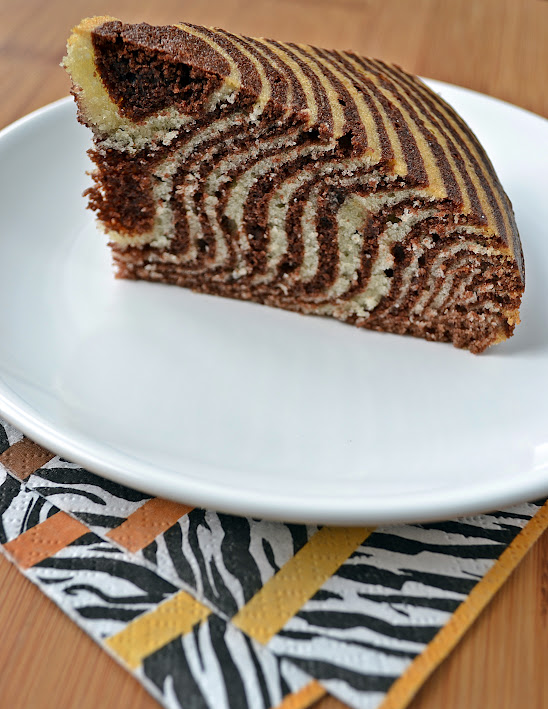 that cake looks fantastic, but how do i get it zebra-like?